When these words were spoken in a Staypineapple marketing meeting from CEO, Michelle Barnet, there were chuckles at first. Husky puppies in every room? Quite the long shot, but like our European style double duvets, we knew that a puppy in every room could be a reality. Today, we’re happy to announce, we’ve succeeded. Making this happen wasn’t easy. The biggest problem was finding enough adorable, fluffy, real, husky puppies. To acquire over 900 husky puppies takes connections, money, and logistics to not only procure the puppies, but get them to the right hotel. Sure, there might be 250 available puppies in Oklahoma, but how do we get them to The Alise Chicago? Instead of outsourcing the process or depending on breeders to handle the logistics, Staypineapple did what many companies do when faced with such a problem - we solved it ourselves. Thus, we’re also proud to announce House A Husky! It’s a new app that puts husky puppies with loving people, and is the friendly foundation of how we’re going to acquire the puppies for our rooms. The app brings together local husky owners and dog lovers, and acts as a safe place where the two can exchange information. Each House A Husky profile features photos of the husky available to borrow, basic personality traits, and a general schedule of when the pup likes to be walked. 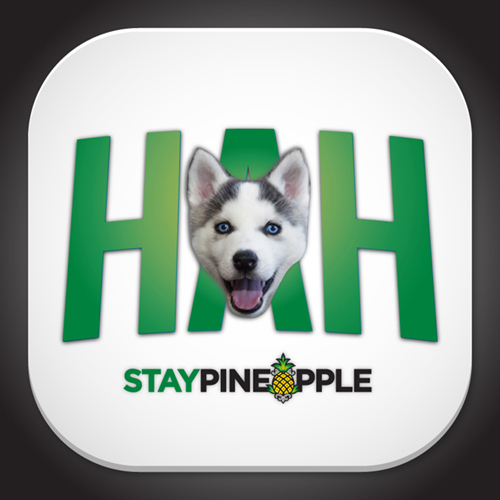 After beta testing the app in Staypineapple’s hometown of Seattle for the past couple of months with great success, Staypineapple HQ decided that a husky puppy in every room could become a reality with our reliable network of responsible husky owners willing to share in the love. So with all that - today we’re happy to announce that starting May 1st, Staypineapple guests can expect a real husky puppy in their room upon arrival! Also, this is an April Fool’s Day joke. We could never do that to Dash!